Georgianna Yvonne Young “Y. 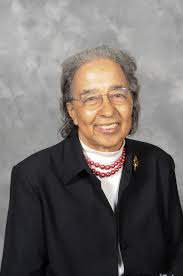 Y.” Clark, a pioneer for African-Americans and women engineers passed away in her sleep last week. She was 89 years old. Clark was the first woman to receive a Bachelor of Science degree in mechanical engineering at Howard University, the first woman to serve as a faculty member in the College of Engineering and Technology at Tennessee State University (TSU) and the first woman to receive a master’s degree in engineering management from Vanderbilt University. Nicknamed “TSU’s First Lady of Engineering”, Clark taught mechanical engineering for over five decades at the university, and was head of the Department of Mechanical Engineering twice. Clark received a full scholarship award in 1947 to attend the University of Louisville. However, after the school discovered that she was African-American, Louisville rescinded her scholarship as a result of its segregation policy. After her family threatened to sue the school, the university paid for Clark to attend Howard University, where she graduated with top honors. Clark has received several awards throughout her lifetime, such as Women of Color Technology Award for Educational Leaders, Distinguished Engineering Educator Award, Delta Sigma Theta Sorority, Inc. Nashville Alumnae chapter’s Educator of the Year Award, Tennessee Society of Professional Engineers’ Distinguished Service Award and the President’s Distinguished University Award from TSU in recognition of more than five decades of dedication, loyalty and determination throughout her academic career.